Why solar power will change traditional power systems and when is the big question facing electrical generation companies, transmission companies and investors. Utilities in the power generation and transmission business have been cash cows for investors for years. Many investors are beginning to wonder if their cash dividends are at risk. The quick answer is that it depends on how the existing companies respond to this new source of power. How they manage the environmental impact message for the new and old systems. There is no question that there is less air pollution from solar and wind farm generation compared to coal, oil and natural gas fired generation plants. There is a lot of pressure to have a higher percentage of generation come from these sources as time goes on. Traditional power system companies must realize that they need to invest in this new technology to protect their investments in transmission systems and retain existing customers while being seen as being progressive from an environment perspective. Progressive companies will make this transition and therefore protect their dividend stream for investors while producing low cost electrical power. The real threat comes from roof top solar power which removes bottom line revenue from the system. This drives the per unit cost up for everyone else who does not deploy a roof top solar installation. Remote areas and high cost per kilowatt areas will be the first to convert, simply because of the economics. An aggressive approach to generating power by traditional power generation companies will help to keep costs to the consumer down. This action will also decrease the motivation to install roof top solar generation. The jury is still out on how this issue will evolve. However investors in utilities would be wise to pay attention to these issues. For more solar power solutions and ideas, click here. The rent or buy a solar power system questions basically comes down to two issues. This assumes that you have already made the decision to become involved in solar power generation for reasons of conservation or to get some control over your electricity costs. This issue is discussed on several other posts on this website. What are the issues. The first is the main one and concerns whether you have the ready cash to pay for the installation and operation of the system? The second is what are the terms and conditions for renting vs. buying and which one makes the most economic sense for your situation. Renting a solar power system is really no different from leasing a car. You do not own the system, you might place a down payment which lowers your monthly fee and you get the use of the system to lower your electrical costs. There will be a rental fee, there will be an assumed interest rate since the lender must charge an interest rate to make money and of course the seller is making a profit as well which is built-in. Your rental may or may not come with maintenance. All of these details should be considered and built into your analysis. If you do not have the ready cash to invest then renting is probably the best option. Buying with cash or buying and borrowing the money is another option. There is a cost of borrowing if you need to take out a loan. Of course there is the interest income that you will not be earning because you invested into a solar power system. You still need to incorporate a maintenance fee to keep the system running. A solar power system calculator should be provided by the solar power system seller to help you analyze your options. You can determine which option is the best approach and provides the largest savings. Along with the quickest payback for your investment. Again if you do not have the ready cash, then a loan is needed or you rent the system. 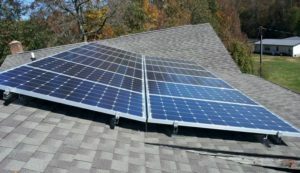 In our last post we discussed the need to get a solar system design and to get approval for permits from the city and the electrical organization in your area. It is extremely important to have all the permits in place and approved before you start installation. Solar system installation is pretty straightforward. However you do need to know what you’re doing and be able to follow and electrical design. There are also practical ways to install cables and mount hardware on your roof. You do not want to damage your roof in any way. It could cause water leakage or deterioration of the roof material. 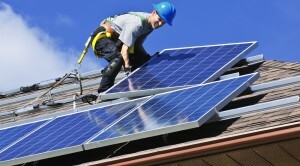 It is often better to hire a qualified solar installation professional. They will ensure that everything is done according to the electrical code. Also according to the permit that has been approved, and according to the solar system design that has been laid out. If there are any damages caused by the solar system installation you may attempt a claim against your home insurance. Make sure that everything meets the electrical quote, and installation procedures. In fact before you begin installation you should confirm with your insurance company that they will insure your home and the electrical system. You may have to add a rider to your insurance for proper coverage. We also suggest that you discuss the installation with the installer. Make sure that you’re totally 100% comfortable with everything that they’re going to do. Particularly with any mounting hardware they’re going to install on the exterior of your home as well as penetration through any walls for cabling and installation in the interior of your home. Most installation companies will be more than happy to explain all of this before they begin. For more thoughts and ideas about using solar power, click here. Many people wonder how inefficient is solar energy. However we wanted to take a more positive approach. We wanted to assess how efficient solar energy is compared to some of the other technologies for generating energy. But first some information about the efficiency of solar panels which can be very enlightening. It turns out that solar panels have a large range. They can range from a theoretical maximum of 55% efficient all the way down to 25% efficient. 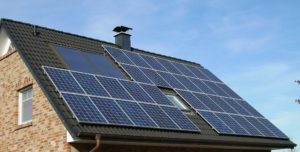 There are a lot of factors that go into determining how efficient and solar panel installation actually is. We will discuss some of the factors that go into determining some of the real issues. With sunlight shining directly on a solar panel at a 90 degree angle to the surface, the efficiency is going to be a maximum of 55%. This is due to the inherent capabilities of a solar panel. Next the angle that the sun strikes the panel is going to further determine the efficiency. It will change during the day. If the panel is not tracking the sun then the efficiency is going to drop as the sun moves off the 90 degree angle. In addition even with tracking, as the sun sets, there is more air and pollutants for the suns rays to pass through. This drops the efficiency further. Next it depends on whether you have a sunny day or a cloudy day. On cloudy days or days with snow or rain the efficiency is really going to drop off drastically. Perhaps even below the 25% level on a particularly dark day during the winter. Don’t forget that in the winter in the northern climates there are less hours for the solar panels to generate electricity. Over all the average efficiency can drop to 25% or even lower. It really depends on the time of the year, the time of the day and the type of weather that is being experienced. It turns out that electrical generation by coal, gas, nuclear or wind plants are also around the 30% to 40% range based on current technologies. The major difference between solar power and some of the others is that all of these power generation techniques are using non-renewable energy sources while solar power is generating power from renewable resources such as sunlight. Electricity generated by water flowing through turbines is probably the most efficient power generation of all and it is using renewable resources. Efficiencies approaching 90% are possible and far surpass all of the other types of electrical power generation solutions. Some countries are fortunate to have lots of water and lots of potential water power driven generation solutions. They do not need to rely on other fuels and minimizes the use of non renewable resources. We know that the coal and natural gas solutions are pretty much mature technologies, while solar and wind technologies are just getting started so their efficiency will no doubt improve over time. In our last post we talked about some of the variables that would go into a business case or business model for your assessment of whether it makes sense for you financially to install a solar panel system on the roof of your home. One of those variables, a big one, is of course the revenue you will gain from this type of installation. It may be net revenue or it can also be cost of electricity not used that you would need to factor into your calculations. Either way you need to understand how much electricity can be produced from your roof. This is where it gets complicated, because you really need a solar site assessment to be able to calculate the theoretical value of this income. Some companies will charge for the solar site assessment and then write it off if you decide to go ahead with a solar panel installation. It is all in what you negotiate, so have that discussion up front so that there is no misunderstanding once the assessment is completed. The following list is pretty straightforward and should be included in your assessment if it is completed in a professional manner. This is something that you need to make sure that you receive from a professional company and that it is done right. If they estimate high in terms of the amount of electricity generated, then your business plan may not pay off as expected. Take your time to understand all of the assumptions and confirm all of the estimates before you take the plunge. Which roof or roofs will be candidates for solar panels? Typically, east, south and western roofs will be included in your assessment. Northern facing roofs will generate electricity, however since most are not receiving direct sun unless you are very far south, it is just not worth it to include a norther roof in your solar assessment. The azimuth is the angle between the north point and the direction your roof is facing. This is the accurate measurement of the direction each roof is facing and will be a factor in calculating the efficiency factor associated with each roof.. The pitch of each roof is the angle from the horizontal and also plays a part in the calculation of the efficiency factor of each roofs as well. The number of panels is a combination of the area of your roof as well as the ability of your roof to support the additional weight. Each panel will produce a specific amount of electricity depending on the Azimuth, the Pitch, the time of day and the season. Each panel has a wattage that it is capable of producing. Different solar panels will have a different wattage rating or power that they will produce. Inverter make , model, and efficiency rating? 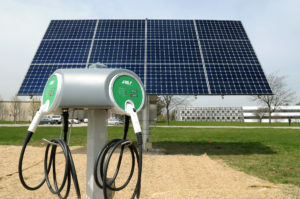 Each solar panel is connected to an inverter, which converts the electricity generated to the desired voltage and amperage level required to interconnect with all other panels and the electrical distribution system. Depending on the manufacturer, each will have their own efficiency rating as well. Shading on the roof from External Factors? This can be a huge issue and may vary depending on the time of year. Shading from surrounding trees will change from season to season as the leaves grow and fall from the tree. Other buildings or obstructions on the roof such as a chimney can also provide shade as well which decreases the amount of power that will be generated. Decisions may have to be made in terms of trimming trees or locating panels only were there is no shade. Shading can be different in the morning vs. afternoon so time of day must also be taken into account. All of these factors should be assessed in your solar assessment. These are mathematical calculations which can be generated by a computer model. We would recommend that some sensitivity analysis be completed on the results to assess the impact more or less solar power generated will have on your budget and payback. Consumers have to remember that sales people are motivated to sell you a solar system and will more often than not make assumptions in their favor. It pays to take as much as 20% off the estimate of electricity generated to see what impact it has on the business case for your system. More to come on alternative energies and solar systems. If you have added comments or opinions please leave us a comment. We are trying to learn as much as possible about this subject. For more help with solar power assessments, click here.